This might be the best news for optimized all-natural skin care and the science behind it. Advanced research is the personal promise and dedication that comes with Skinceuticals Phyto Plus. Antioxidants are not only good for you to eat; they are exactly what your skin needs to heal itself from the outside in. With over 15 years in research and development it has been discovered that only 4 over hundreds of bio-friendly antioxidants are good choices for topical application. These four antioxidants are perfectly designed to be absorbed through the epidermis and nourish the dermis, helping to restore collagen and elastin for optimal natural beauty. In order to establish the key formulation for a broad-spectrum antioxidant, advanced clinical trials, were performed on hundreds of bio antioxidants to find just the right balance. 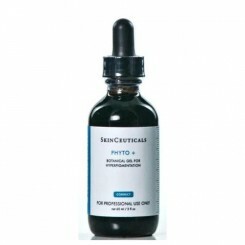 Skinceuticals Phyto Plus is an advanced formulation backed by incredible research. Each antioxidant has gone through intense clinical trials. Each of the key antioxidants where tested under real world conditions, with the exact concentrations that are found in the end product. Detailed investigation has taken time; honor and integrity are the core principals behind this amazing formula. The last two superior substances easily absorbed topically, antioxidants with superior synergistic advantages, are ferulic acid and phloretin. Used in balance with nature, these key ingredients lend themselves to multiple formulations based on skin types and all environmental concerns. Every individual has a very unique DNA and as a result very unique skin characteristics. For the best results with any skin care regime, it is best to consult a skin care professional.